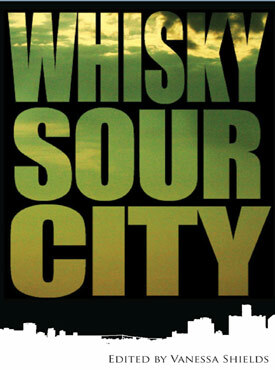 Published by Black Moss Press (April 2013), Whisky Sour City is a poetry anthology about the city of Windsor, Ontario, Canada. Available on-line at Chapters/Indigo as well as in store in Devonshire Mall, and a Biblioasis. Whisky Sour City is a courageous, honest, sometimes raw, sometimes beautiful collection of poems written by people who have experience the city of Windsor in unique ways. From love to bars to family to friends, this anthology is a no-holds barred vision of a city that refuses to be defined. Edited and published through the University of Windsor’s Editing & Publishing Practicum, which was created and taught by Windsor’s Poet Laureate Marty Gervais, and guest edited by me (Vanessa Shields), Whisky Sour City is the best of the sweet and the sour of a city that it as sweet as it is sour – and all through the lens of poetry.